Nathan spots Avery&apos;s blanket and questions Nina, stating it&apos;s evidence. Ric pretends to defend Nina and insists Nathan can&apos;t take the blanket without a warrant. Nathan wants Nina to come with him, but again, Ric gets in the way. After Nathan leaves, Ric tells Nina that he&apos;s the only one she can trust. Dante has a gift for Lulu, but she doesn&apos;t accept it. She says she needs more time to get the image of Dante and Valerie kissing out of her head. Laura arrives and tells Lulu that Luke is leaving. Dante apologizes to Laura for what he did to Lulu. Laura tells him to forgive himself. Dillon and Morgan run into each other and talk turns to Lulu. Dillon gushes about his ex and how she helped him with his script. Morgan reminds him that Lulu is married, but Dillon swears his interest in Lulu is only one of friendship. 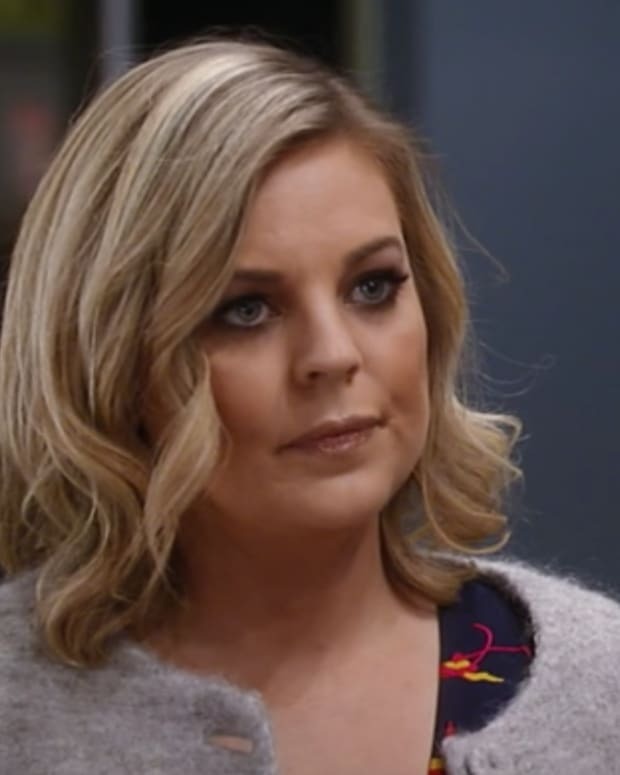 Madeline is quick to let Maxie know that she isn&apos;t good enough for Nathan, but Maxie holds her own. When Nathan returns, Madeline tries to throw Maxie under the bus, but Nathan stands by Maxie. Ava begs Franco not to tell Kiki about her tryst with Morgan. Franco holds his tongue. Kiki tells them she&apos;s going away for a few days. Franco warns Ava not to do anything with Morgan while Kiki is away. Franco tells Ava to start working on Nina. Later, Ava calls Nina and invites her to breakfast. Dillon runs into Valerie, who complains about being accused of being a home wrecker and wants to prove she&apos;s not going after Dante. Dillon tells her that they should date and she agrees. Sonny&apos;s goon alert him to an intruder. It turns out to be Luke. Luke says he&apos;s leaving for good. The two reminisce before Lulu arrives to say her goodbyes to her father. Lulu gives Laura a letter from Luke. Luke says goodbye to Sonny and heads out of Port Charles.